7/15/06 Rising building costs and lack of sales due to overpricing are the reasons given. The smallest unit was $750,000 for 800 square feet, and although the amenities were top drawer, that's a lot of money for a small apartment. This was a beautiful project and we're sorry to see it go. 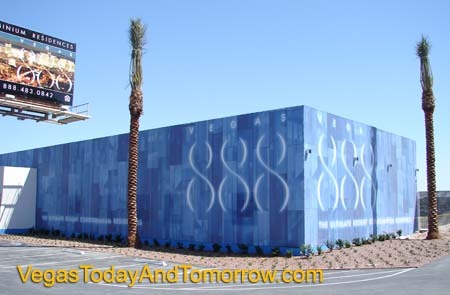 This stunning, 50-story project was planed for the site directly east of the Palms on Flamingo Road and would have anchored the east end of Las Vegas' exciting Harmon Corridor. The 35th-floor spa with a cantilevered hot-tub. V E G A S 8 8 8 would have had 542 units, ranging from 800 sq. ft. to 8,000 sq. ft. (for the penthouse on the top two floors of the building). The building featured flats with open floor plans and two-story lofts with 20’ ceilings. There was also 11 three-story Villas available for sale next to the two-acre pool area. 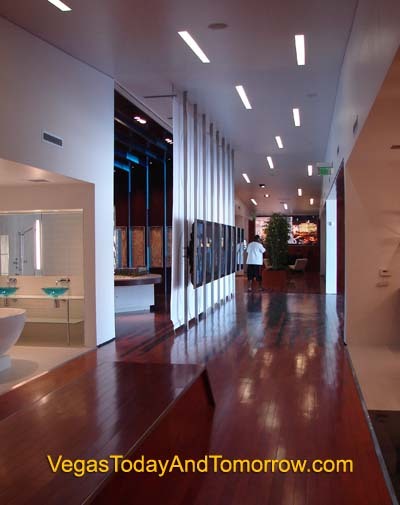 Building amenities included a 12,000-sq. ft. spa, a private club for the residents, and an exclusive nightclub, all on the 35th level overlooking the entire Las Vegas Strip. Prices ranged from $750,000 to well over $10 million. Located on the north-west corner of the site, the V E G A S 8 8 8 sales office had working models of the different bathroom and kitchen selections. 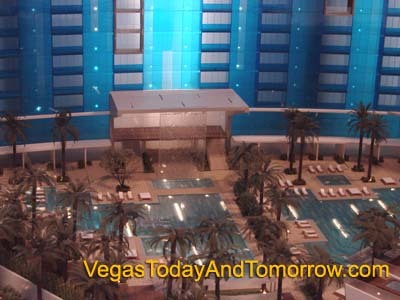 V E G A S 8 8 8 planed for a September 2006 groundbreaking.